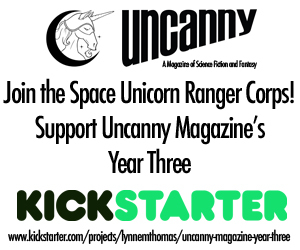 Uncanny Magazine, year three… and check out one of the stretch goals! Uncanny Magazine is raising funds for Year Three! They’ve done so much in two short years and I gotta say I really love working wit h them. Their whole editorial team is pretty fab to say the least. Watching the video gave me little happy shivers to see so many creators I like waving and supporting the UNICORN DANCE PARTY! Supporting Uncanny this year also creates the opportunity for the Things to continue hanging out with Uncanny and stretch themselves into new ways of imagining. 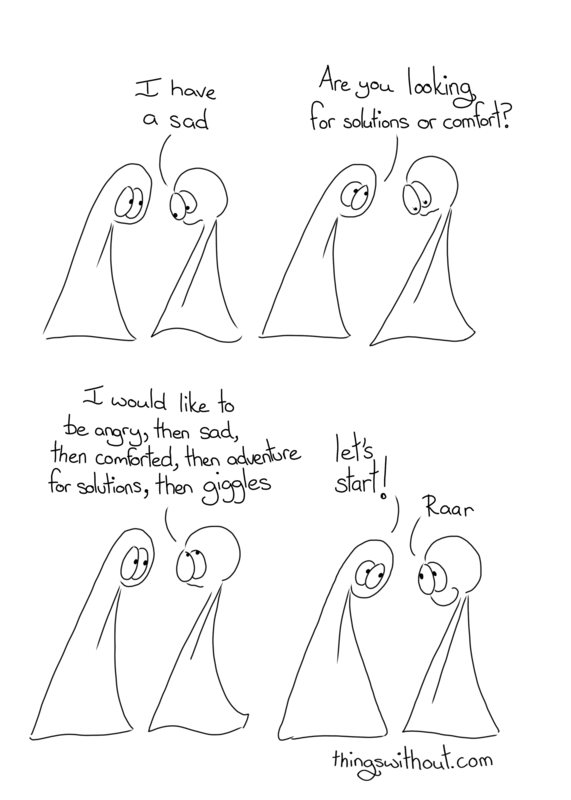 It’s always such an interesting challenge, reading all the stories and essays, picking one (or several) and fitting them into the mind and world of the Things. Increase Uncanny Blogging! Keep Liz Argall’s Things Without Arms And Things Without Legs reaction comic per issue, and add the new Max and Amal Go to the Moviescolumn, PLUS new columns by Michael Damian Thomas and Michi Trota!